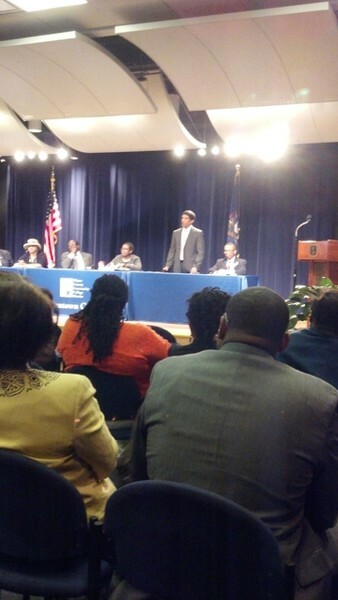 When it comes to Health Centers and National Health Center Week there’s never a shortage of stories to tell! From the reason you got involved with your health center – that special light bulb moment that told you ‘this health center is extraordinary’ – to the positive impact the health center has had on your life, the patients it treats or the community it serves, telling the ‘health center story’ is one of the best ways to celebrate all the wonderful things about America’s Health Centers! In celebration of National Health Center Week we want to hear YOUR ‘health center story’ and all the reasons you and your community have to CELEBRATE America’s Health Centers. Do you think your health center is special? Tell us what’s so special about your health center and why you’re celebrating during National Health Center Week. Do you have an outstanding community volunteer, staff or board member at your health center? 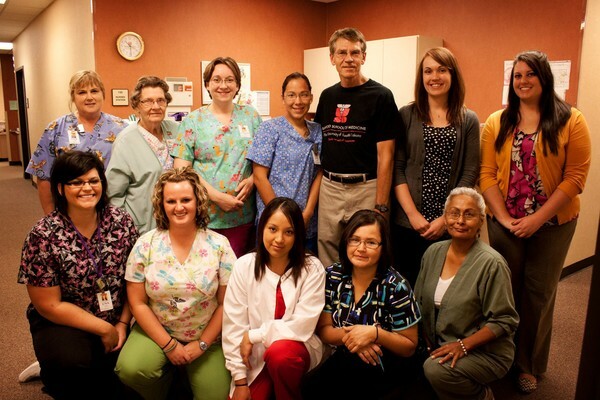 Tell us about their contributions and how they have helped make YOUR health center successful. Does your health center have a special care program that is providing unique services tailored to meet the needs of YOUR community? Tell us about the unique ways that your health center cares for those in need in your community. Has the health center helped or improved your life or the life of someone you know? Tell us about the ways your health center affected positive change for you or others in the community. One common factor exists among almost everyone involved with health centers; we all have a health center story to tell and our stories and experiences is part of what makes the Health Centers Program and community so special and unique. 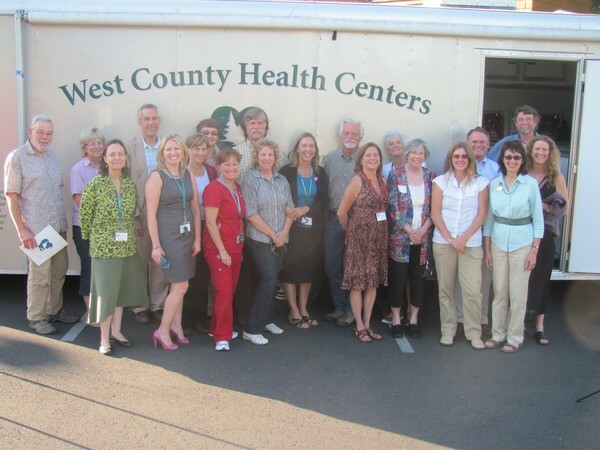 By Jennifer N, Guerneville CA PHOTO CAPTION: West County Health Center supporters in front of our Emergency Response Unit #1 at the Sebastopol Community Health Center Open House celebrating National Health Centers Week. By Deila D, Chicago IL Fourth ranking House Member Congressman Peter J. Roskam attended the grand opening of ACCESS’ newly renovated ACCESS Martin T. Russo Family Health Center in Bloomingdale, IL (a suburb of Chicago). 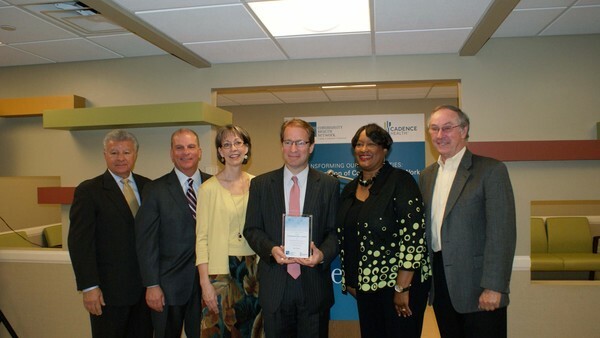 Congressman Roskam has been an avid supporter of ACCESS and has two health centers located in his district. The Congressman was joined at the grand opening by Mayor Frank Saverino of Carol Stream and Mayor Robert Iden of Bloomingdale, as well as Cadence Health CEO Michael Vivoda, ACCESS Board Chair Denise Kitchen and ACCESS CEO Donna Thompson. 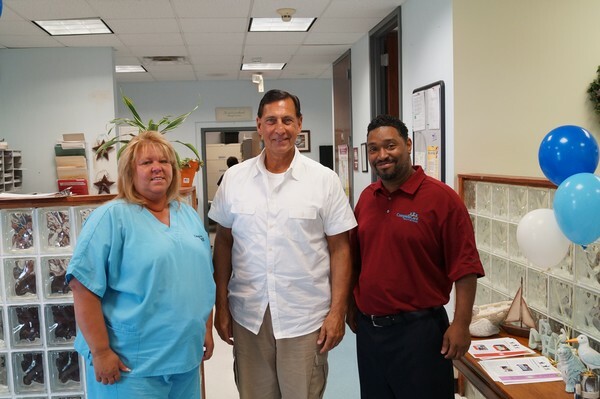 The ACCESS Martin T. Russo Family Health Center provides 28,000 annual primary care visits. Congressman Roskam represents Illinois’ Sixth Congressional District and is the fourth ranking member in the House of Representatives. By Doug S, Snow Hill NC Community Health Centers like Greene County Health Care have become a powerhouse in primary care because they provide a quality and cost-effective model for health care delivery. A recent study by researchers at the Stanford University School of Medicine and the University of California-San Francisco concluded that health centers demonstrated equal or better quality performance than private practices on ambulatory quality measures, despite serving patients with more chronic disease and socieo-economic challenges. This is the case at Greene County Health Care where patients receive quality and affordable primary and preventive care services under one roof that include medical, dental and medical family therapy services. Greene County Health Care’s (GCHC) approved scope of project includes the provision of comprehensive, integrated primary health care to residents of Greene, Pitt and Pamlico counties in rural eastern North Carolina, as well as migrant and seasonal farmworkers and dependents (MSFWs) in areas adjacent to these counties. In 2011, GCHC provided services to over 31,000 patients. “At Greene County Health Care our patients not only receive quality care on a regular basis but they are treated as individuals, with dignity and respect,” said Doug Smith. “This is what health care should be about and what our patients come back for time and time again. We are their provider of choice because they like the care they get here and because we are part of the community we understand our patients and what they need.” Community Health Centers have been in existence for over 45 years and have compiled a significant record of success, even as collectively they provide one-quarter of all primary care visits for the nation’s low-income population. New fact sheets from the National Association of Community Health Centers (NACHC) provide a more comprehensive glimpse behind the health center record of: • Reducing income and ethnic health disparities nationwide, even in the poorest and most challenged communities • Producing $24 billion in annual health system savings • Reducing unnecessary hospitalizations and unnecessary visits to the ER • Providing a system of preventive medicine that patients use regularly, thereby improving health outcomes. The successful model of care that health centers provide is tied with how they are directed by local communities. Federal law requires they are governed by patient-majority governing boards, which ensures accountability to the surrounding community, funding sources and the American taxpayer. Health centers also go beyond the reach of traditional medicine by addressing the social determinants that can cause poor health – meaning factors such as poverty, nutrition, inadequate housing, or lack of education. To make access to primary care easier, health centers also offer services that remove common, persistent barriers to health care, such as transportation, translation, insurance enrollment, case management, health education, and home visitation. Health centers also empower their patients to be active participants in improving their health and in preventing or managing their chronic conditions through better nutrition, counseling or patient education. As a result, health center patients are more likely to comply with their providers’ guidance than other patients and have a better chance for improved health. With better health and access to regular care at a health center, people can more easily avoid costly visits to the hospital. By Richard V, Lancaster OH Fairfield Community Health Center (FCHC) celebrated National Health Center by hosting a public Open House on August 8, 2012, at their 1155 East Main Street health center. 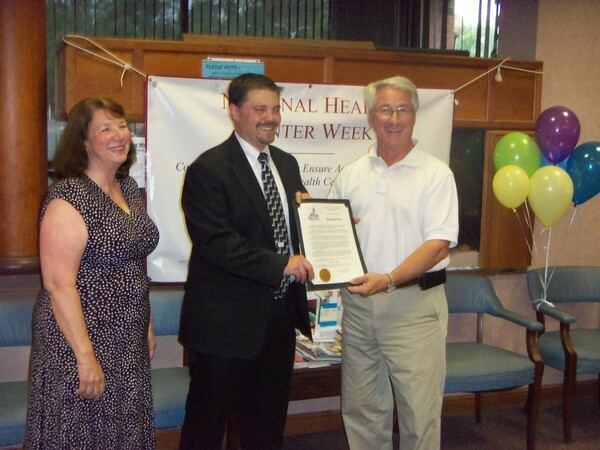 City of Lancaster Mayor David Smith presented a proclamation to FCHC CEO Clint Kuntz and Board President Sandy Smith declaring August 5-11, 2012, as National Health Week for the City of Lancaster. 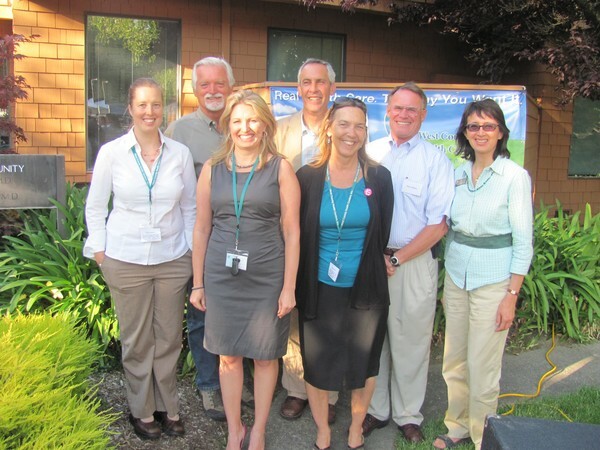 By Jennifer N, Guerneville CA PHOTO CAPTION: National Health Centers Week celebration at the Sebastopol Community Health Center. Speakers in the formal program featured here from left to right: Dr. Elise Sullivan (Sebastopol Community Health Center, Medical Director); Assemblyman Wesley Chesbro, 1st District, California; Jennifer Neeley (Associate Director of Development, West County Health Centers); John Kornfeld (West County Health Centers Board President); Mary Szecsey (West County Health Centers, Executive Director); Dr. Marc Babitz (founding Dr. of the Russian River Health Center, currently with Utah Public Health as Division Director of Family Health and Preparedness); and Elizabeth McCarthy (Field Representative for California State Senator Noreen Evans). By Steven M, GA The leaders of the City of Dalton, Georgia were disappointed when the NAP Application submitted by Georgia Mountains Health (a FQHC founded in 1984) was not funded. The City, billed as the Carpet Capital of the World, has been hit hard by the down turn in the economy. With one of the highest unemployment rates in Georgia, city leaders we determined to do everything they could to provide access to affordibale health care to the area. The Mayor, the local Healthcare Partnership, the local hospital, community leaders, and Georgia Mountains Health worked together to keep the dream alive. 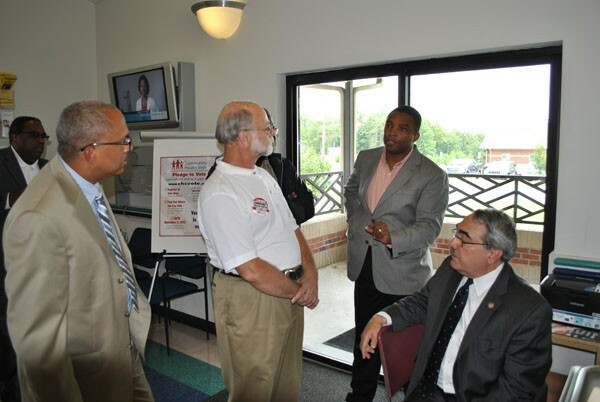 The Mayor committed to provide space for the HealthCenter in a new Community Center located in an underserved area of Dalton. Community leaders and local foundations provided funding for equipment and supplies. Georgia Mountains Health made the committment to staff and operate the center on a full time basis. The State Legislature provided one-time start up funding neceassary to launch the new HealthCenter. 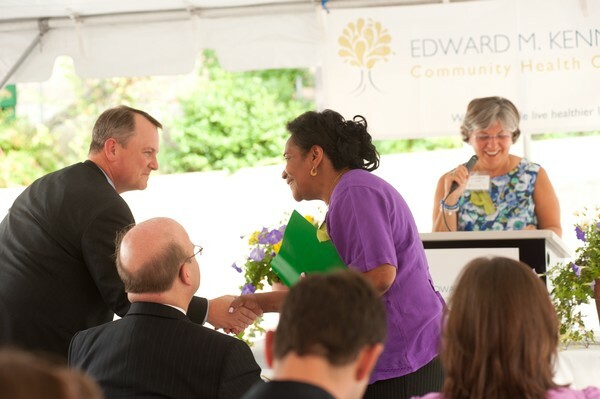 The dedication of the Partnership HealthCenter was held during National HealthCenter Week and is a testimony to what can be achieved when a determined community, with visionaly leadership, can accomplish on behalf of the medically underserved. 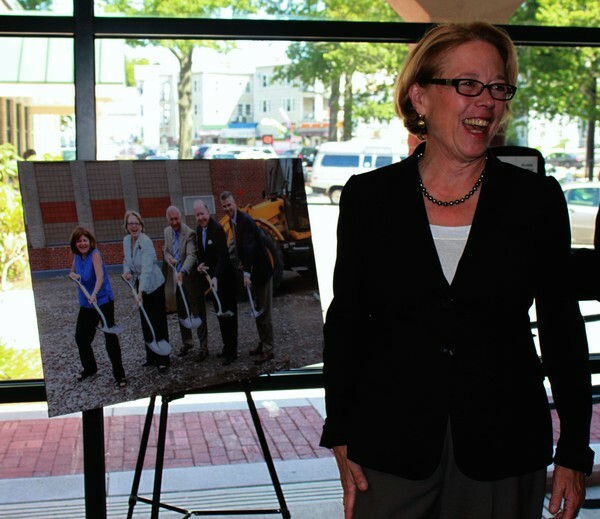 By Marc L, Lawrence MA In the photo, Congresswoman Niki Tsongas reacts to her photo from when she joined us during CHC week three years ago to help break ground on the GLFHC North Expansion Project. In both photos, she was standing in almost the same spot – except in 2012, what once was a small parking lot is now the newly designed waiting area for patients as part of her efforts to supports GLFHC mission. 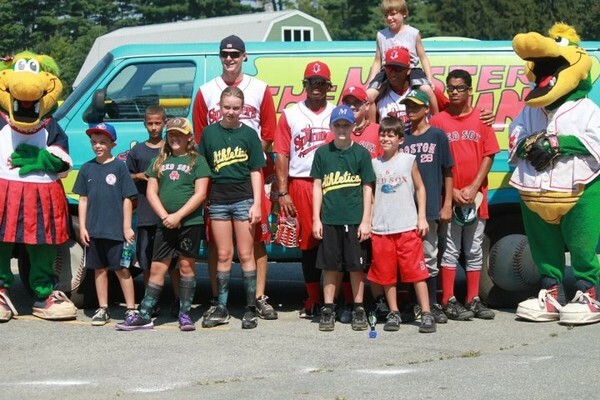 By Marc L, Lawrence MA In what has become an annual tradition of summer, the Lowell Spinners teamed up with GLFHC to sponsor a baseball clinic with members of the team and their mascots. For the fourth year in a row, GLFHC has sponsored the camps in Lawrence and Methuen, MA and has entertained boys and girls ages 8-14 with the morning camps – free of charge. This year, the camp coincided with National Community Health Center Week. Also this year, we welcomed a new community partner to the event – Holy Family Hospital. GLFHC is expected to open our sixth public clinic inside the former emergency room of HFH by January 2013, expanding our capacity to patients in the Merrimack Valley and Southern New Hampshire. 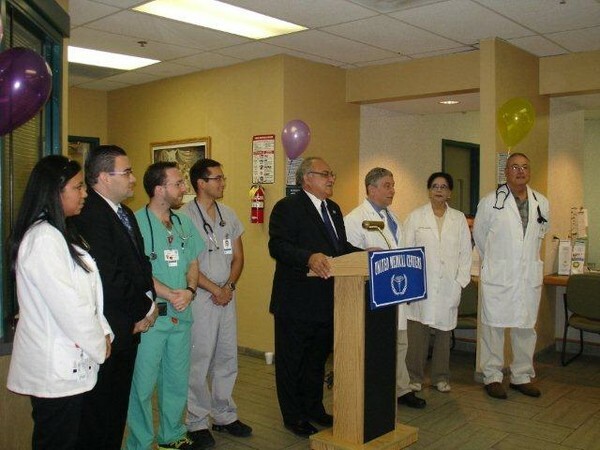 By Barbara R, Eagle Pass, TX United Medical Centers participated in NHCW. Our main focus is to engage our community population in the different health fairs by providing our different services at different locations to reach as many participants as possible. In doing this we facilitated different services to the citizens of Maverick County. United Medical Centers of Eagle Pass Texas as well as different agencies in our community provided access to services to clients that normally cannot afford these services. By using community resources we were able to serve them by participating and providing education, information, free screenings ,and health awareness to the general public. We are delighter to post that we received a very favorable outcome. As always United Medical Centers is happy to participate in NHCW year after year. By Stacey S, Baltimore MD People’s Community Health Centers held a ribbon cutting ceremony to mark the completion of a brand new dental suite in Baltimore. 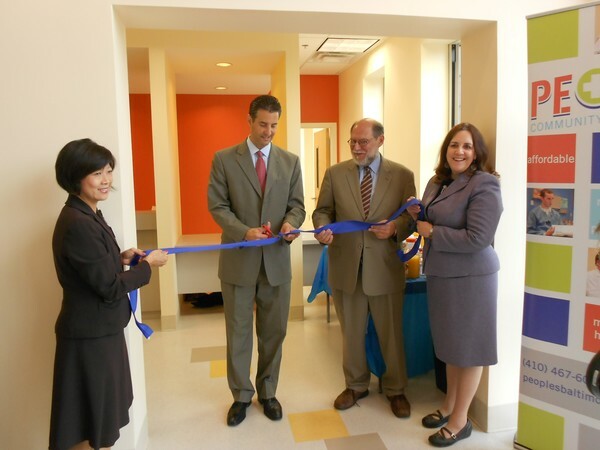 Attending the event were community partners, Congressman John Sarbanes, Chief Medical Officer Dr. Lelin Chao, CEO Patricia Cassatt and President of the Board of Directors Dr. Zigel. Following the presentation, tours were offered and live interviews with the local TV stations. 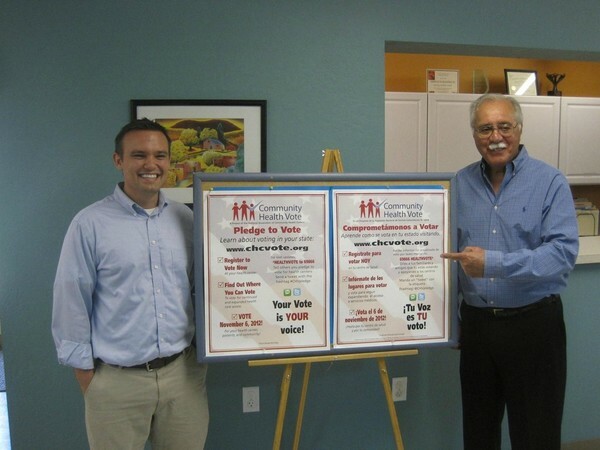 By Emily O, Phoenix AZ Congressman Pastor (right) tours Wesley Health Center for National Health Center Week and supports our Voter Engagement Campaign! Also pictured is James Williams (left), the Community Relations Director for Wesley Health Center. 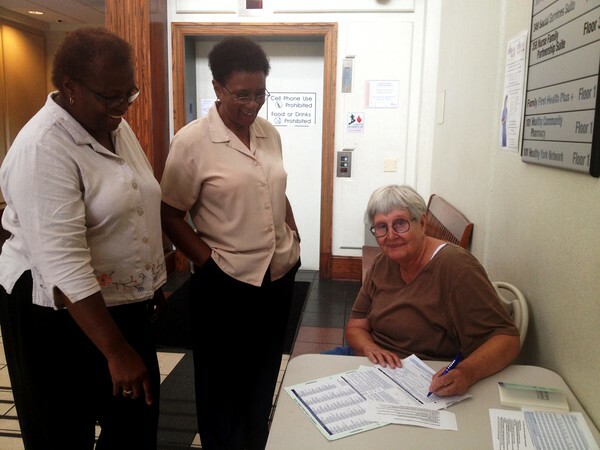 By Jess E, York PA Clara Anderson, York NAACP member, and Carol Thompson, York NAACP volunteer, help Family First Health patient, Elaine Edleblute, register to vote during National Community Health Center Week. Volunteers from the NAACP and York Branch of American Association of University Women were on hand all week to answer questions and help people register to vote. By Stacey S, Baltimore MD People’s gathered together board members, professional colleagues at the health department, school board, county council, area churches, and the community at large to kick off our “Building Hope” campaign. 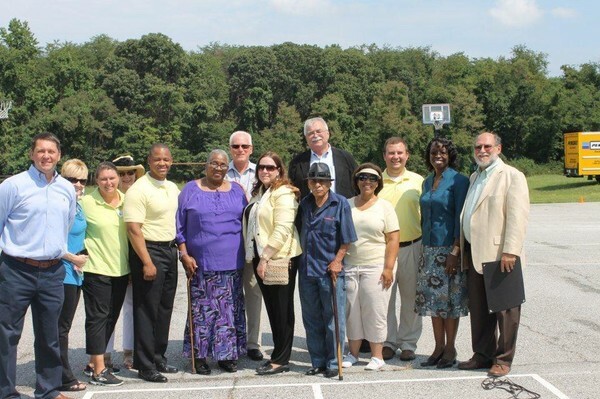 The ceremony marked the transfer of the land to People’s Community Health Centers by the Anne Arundel County Board of Education. The ceremony was officiated by long time advocate and community volunteer known as Mrs. G. Following the dedication, People’s partnered with i5 Church for a health fair promoting health/medication outreach and the “Building Hope” project, HIV testing and school supply giveaway to over 500 local students. By Ashley R, Los Angeles CA In support of National Health Center Week, the Southside Coalition of Community Health Centers and the Empowerment Congress hosted a 2-mile walk in South Los Angeles from St. John’s Well Child and Family Center to UMMA Community Clinic. 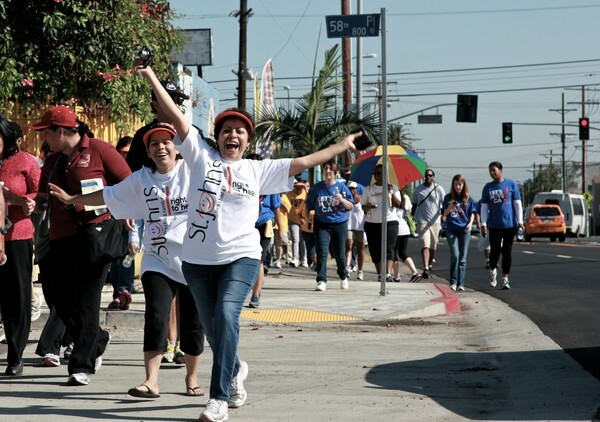 Patients of both clinics joined staff and other community supporters to support a healthy lifestyle through physical activity. Participants were also provided with blood pressure and diabetes screenings, body mass index measurement, information on Healthy Way LA (a public insurance program in Los Angeles County), voter registration opportunities, and healthy cooking demonstrations. 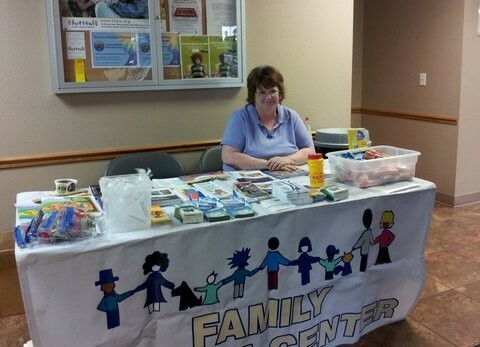 By Amber R, Longview WA To celebrate National Health Center Week, the Family Health Center offered information tables in the lobby of their Longview Clinic. Patients asked questions, recieved information, a took giveaway items with them. International Community Health Services (ICHS) executives, board members and staff joined city of Shoreline officials on Monday, Aug. 6, 2012 to launch a regional expansion for the Seattle-based community health center – a new full-service clinic in Shoreline. 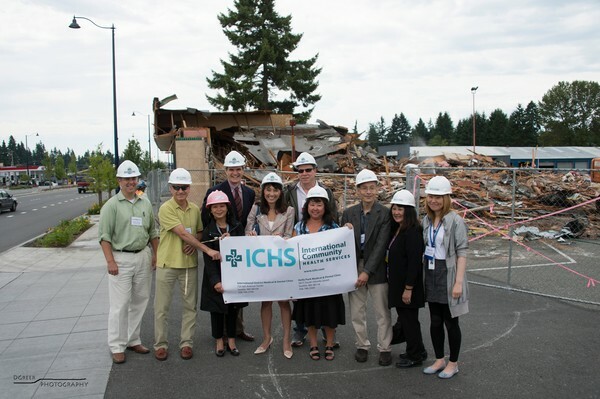 Construction crews started demolition in this city north of Seattle to make way for a 20,000-square-foot, multilevel clinic, which is scheduled to open in 2014. The entire project is estimated at $12 million. The new clinic marks a regional expansion for ICHS, which once was housed in a storefront in Seattle’s International District. ICHS has identified North King County, where Shoreline is located, as an area where affordable, quality and multilingual health services are needed. The project is a partnership involving ICHS, the ICHS Foundation and supporters. Photograph by Dave Greer (dgreer/photography).